The Toolbox User Manual is now available for download here. We are excited to share this new demo video of toolbox being used together with bitbox and synthbox. 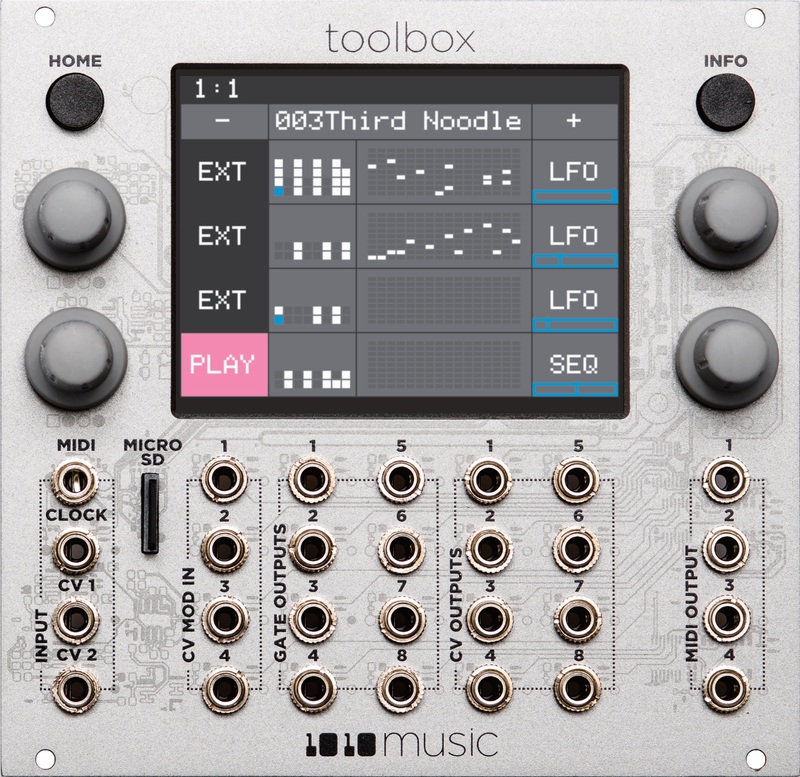 Los Angeles, CA, November 06, 2017 – Following fast on the heels of their successful new synthbox module, 1010music LLC (http://www.1010music.com) has released toolbox. This innovative new Eurorack sequencer merges the best concepts of hardware and software sequencers into one powerful, new sequencer module. An integrated touch screen provides a fast interface for switching and layering eight 32 note step and/or real time sequencers. Easily draw-in and define note pitches, durations, and gate values plus define modulation sources and destinations. Toolbox even delivers classic Piano Roll editing on Eurorack! Hard-wired CV inputs, outputs and external clock or MIDI sync let you easily interface and drive all your Eurorack modules. 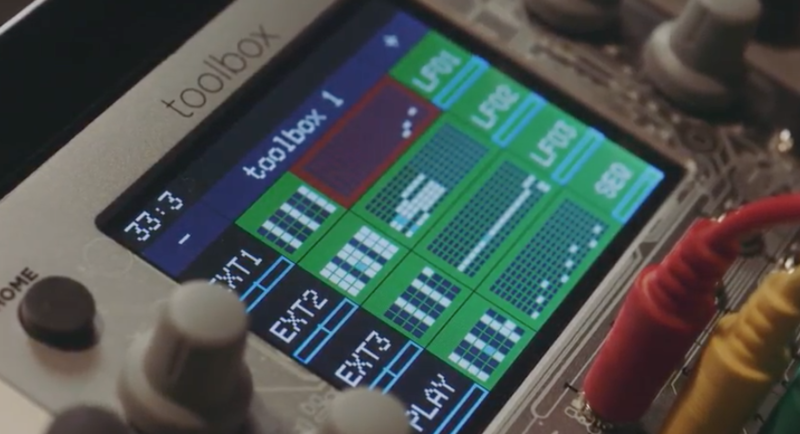 toolbox tames the wildest Eurorack rigs and integrates with bitbox, fxbox and synthbox to provide one, easily controlled system designed for maximum creativity as seen in this great demonstration video by Dan Pearson. Also can be used as modulators for sequence step count, step length, transposition, etc. New toolbox units can be purchased for $599.95 directly from 1010music or through a fine network of dealers that you can find at 1010music.com. For user or dealer inquiries please contact sales@1010music.com and for review and press inquiries, please contact marketing@1010music.com. 1010music LLC is a new company providing innovative digital music solutions. Most recently known for bitbox, the first touch screen, 24 bit recorder/player/looping module for eurorack and fxbox. Some of their past work includes Traktor DJ by Native Instruments, which earned Apple’s App of the Year in 2013; Looptastic which was a top 10 selling app for 2010; and MixMeister, which is now part of inMusic. 1010music LLC looks forward to pushing the boundaries of music creation wherever and whenever possible.